Paperback, 6.5 x 9.5 in. / 240 pgs / 50 color / 150 bw. All urban dwellers have seen them: vacant apartment blocks, blighted business districts, destitute streets, industrial wastelands. Exurban growth has led to shrinking cities, a perennial problem. Grappling with this change, both philosophically and practically, is the purpose of this illustrated collection of essays, a rich resource for the generation of architects, engineers and urban planners who must face the decay. 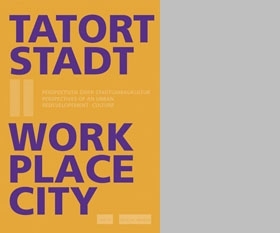 The contributions by a range of politicians, scholars and planners arose out of the series of “Tatort Stadt” (“Work Place City”) events, conferences and exhibitions sponsored by the German government and the Bauhaus Dessau Foundation (the research and design center carrying forward the Bauhaus legacy). 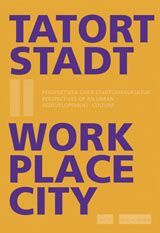 Exploring both current and proposed projects, these approaches recognize the need for structural change, acknowledging that urban redevelopment requires much more than demolition. FORMAT: Paperback, 6.5 x 9.5 in. / 240 pgs / 50 color / 150 b&w.